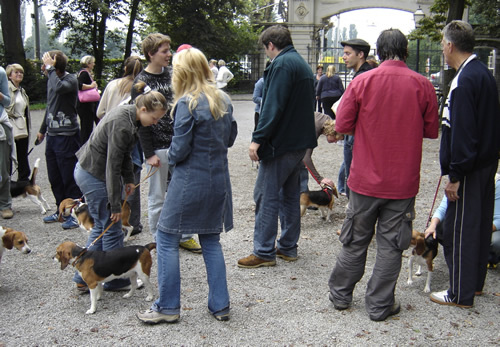 One month after their homing, the beagles are together again, but this time free and with their guardians. 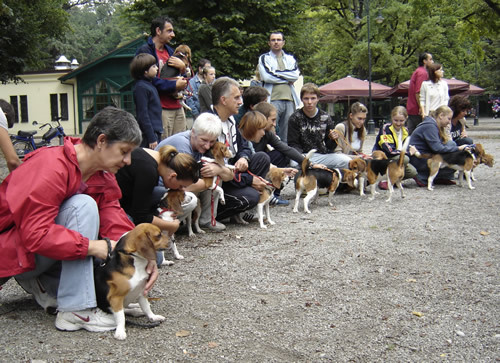 Enjoying the care of their families they will re-unite on Sunday, August 28, 2005, at 2:30 P.M., at the main entrance of the Maksimir Park. Even though they escaped the continuation of the experiments and death, experiences of their guardians speak of numerous traumas. The lady who adopted Binke, a female beagle with a broken leg and one eye missing, told us that she found out that her dog's eye was picked out at the Faculty of Veterinary Medicine, which means, during the 21-days-long quarantine period, when the beagles' bones were broken. Almost all dogs are still being cured from ear infections, although more than 30 days have passed since their homing. 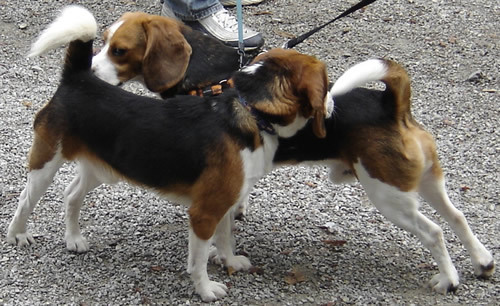 In the moment of their homing, two dogs had painful prepuce inflammation, one female dog had bloody tip of her tail; other dogs had scratches and scars. All the wounds and illnesses were ignored and not treated, even the simplest ones, which did not require greater veterinary attention. It has to be mentioned that the veterinary inspector didn't react on anything mentioned here. Most of the dogs are recovering pretty well, less and less they show the signs of stiffness and fear from the loud sounds, horns, cars, white coats, sudden movements and opening of front doors as well as walking on grass, which they never saw in their lives until their liberation. Some of them twitch and whine in their sleep. 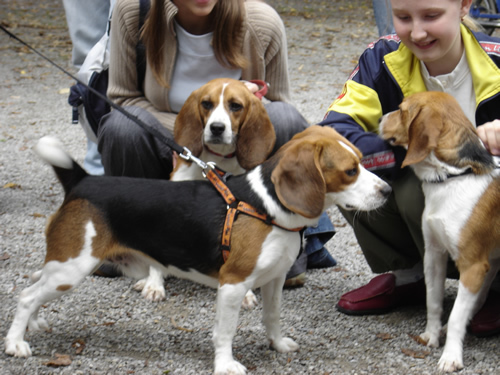 All dogs were undernourished before they came in their new families; their weight was between 4 and 10 kilos, the average weight of grown-up beagle is between 10 and 18 kilos, which means they were fed just to keep them alive. They didn't know how to drink water and how to walk on the stairs. One of the dogs still reacts in horror while going out from the apartment, peeing from fear. 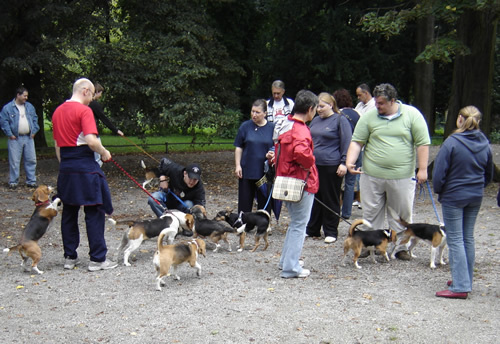 Since the dogs are placed in good families with which we are constantly in touch, they are recovering well, they react positively to music, cuddling and stroking, so we believe they will successfully win the fight against their fears. Animal Friends will press legal charges against Slobodan Vukicevic and Antun Brkic, who, according to our knowledge, is coming back to work at the Faculty of Veterinary Medicine starting with September 1, 2005, in spite of being suspended. We also asked for the suspension of the veterinary inspector Zeljko Devcic and the inspection of work of veterinary inspector Tomislav Perokovic, as well as a revision of all approved animal experiments in Croatia. 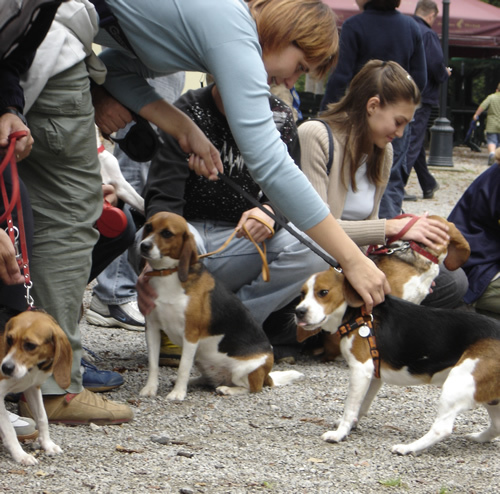 Also will we continue to educate the public on the issue of vivisection, that is, animal experimentation, promote the alternative methods in educational institutions and direct buyers to purchase products that are not tested on animals.